Sinn Féin MEP Liadh Ní Riada being shown some of the work undertaken at Shannon Men's Shed. Sinn Féin MEP Liadh Ní Riada has accused insurance companies of holding Men’s Sheds to ransom. 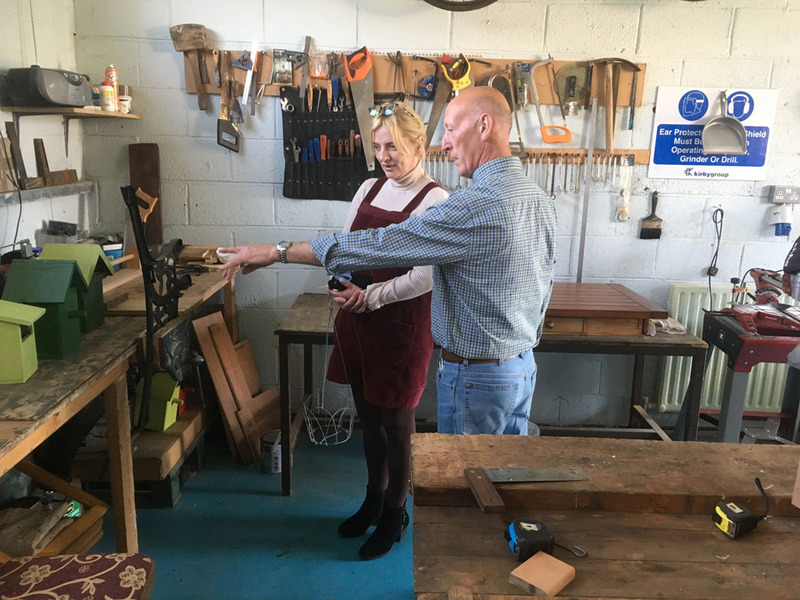 The Ireland South MEP made the claim, following a visit to Shannon Men’s Shed where members told her that some insurance premiums had quadrupled in the past year, putting several sheds at risk. “I’m absolutely appalled at the cynical and greedy way insurance companies are holding Men’s Sheds to ransom with outrageous premiums,” the MEP said. “These facilities do incredible work when it comes to tackling issues men face, including isolation, particularly among older people, as well as issues of men’s physical and mental health. “They are a wonderful initiative and they deserve support, not attempts to wring every penny out of them. “I am calling on the Government to step in and examine the possibility of any unscrupulous business practices happening among insurance companies with regards to men’s Sheds.I will also be raising a PQ in Europe with the competitive authority and asking them to investigate any unethical activity among insurance companies. “I’m a passionate supporter of the Men’s Sheds group and I will be doing everything in my power to ensure they aren’t held hostage by unscrupulous insurance companies,” Liadh Ní Riada. The MEP was accompanied on her visit the Shannon Men’s Shed by local Sinn Féin councillor Mike McKee. Sinn Féin MEP Liadh Ní Riada has accused insurance companies of holding Men's Sheds to ransom.